The entire pregnancy and birthing process is about “opening”, spiritually, mentally and physically. Once the baby is born, the body require “sealing”, or closing that which has been open and is raw and vulnerable. 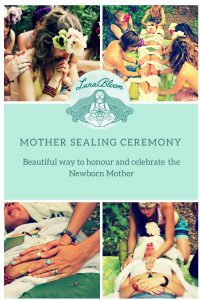 Sealing after birth is encouraging postpartum healing on many different levels. *PHYSICALLY: Brings the New Mother “back together”. Squeezing her joints and hugging all the areas that pregnancy and the hormone relaxin have loosened. It stimulates blood flow which in turn can help clean and renew the mother by moving fluid in her body. This can help with balance for her hormones, immune system, toning muscles and tissues. *ENERGETICALLY: It will bring the Mother together by holding her energy close. Mother Roasters will remind her to set her intention on “coming back into her body”. The Mother can invite all threads of herself that may be have been scattered during the birthing process to be pulled back together. *EMOTIONALLY: It gives the Mother a space and time to focus on sealing her birthing process. 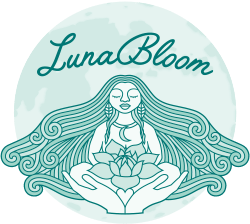 By setting intentions of closing the birthing time and entering fully into motherhood she is able to emotionally transition herself in a way that western culture seldom allows.